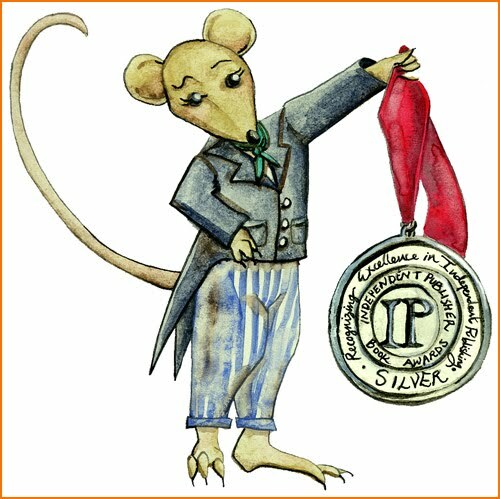 Castle in the Air and Dromedary Press are thrilled to announce that Commonplace Mouse has been awarded a silver medal in the 2010 Independent Publisher Book Awards. The Independent Publisher Book Awards (the IPPYs) were conceived in 1996 as an unaffiliated program to bring increased recognition to the thousands of exemplary independent books produced each year. The IPPYs reward authors and publishers who exhibit the courage, innovation, and creativity to bring about change in the world of publishing. Winning this award means a lot to me not just as the creator of Commonplace Mouse, but also as the founder of my own publishing imprint, Dromedary Press. Dromedary was founded out of a desire to tell my own stories outside of the confines of the major publishing houses. Most people who know me think of me in relation to Castle in the Air. But the truth is that more than any other reason, the shop was founded as a way to fund the publication of beautiful books through Dromedary Press. Many thanks to Independent Publisher and to everyone who has supported Commonplace Mouse along the way. If you would like to buy a copy, you can do so through the Castle in the Air Online Shoppe, the Dromedary Press website, or Amazon.com. CONGRATULATIONS KARIMA! I can think of no one more deserving!!! I can think of no one more deserving!!! !